Ashburton, 175 Walnut Avenue | Ashburton's Premier Property Team. Pair up with us, we'll knock your socks off! 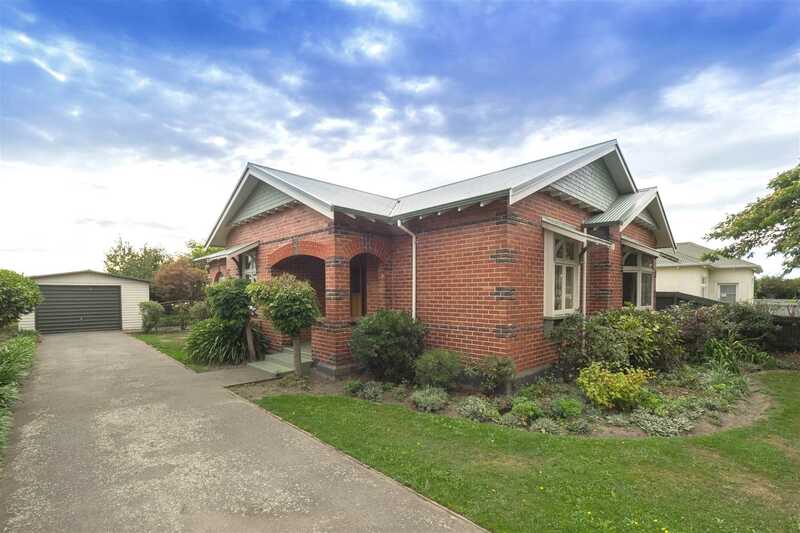 You'll fall completely in love with this beautiful 1930's family sized character home from the minute you step inside. In excellent condition with many stunning original character features, this home boasts three spacious bedrooms, a huge separate formal lounge or fourth bedroom with lovely bay window and a spacious sundrenched sunroom overlooking the easy care back yard. The main family living area has an open plan kitchen, dining and living space heated by a compliant log fire, with access out to the back patio area shaded by a gorgeous pergola. This home has been meticulously maintained, re-roofed and has a single plus workshop garage, off street parking and backs onto McLean Park. Located close to shops, Ashburton Intermediate School and the town centre. Homes like this are rare, call now to secure your viewing! Chattels remaining: Fixed floor coverings, Light fittings, Stove, Drapes. 3 x council bins. TV aerial.